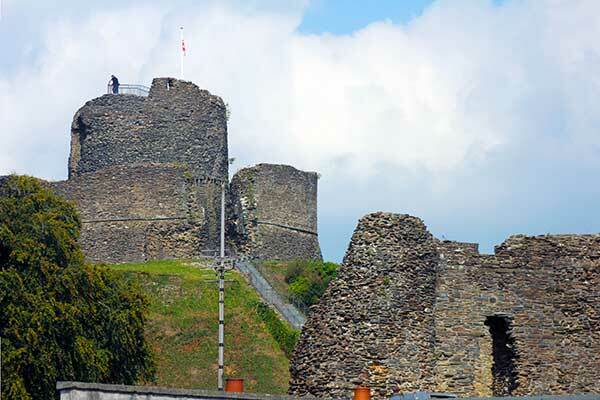 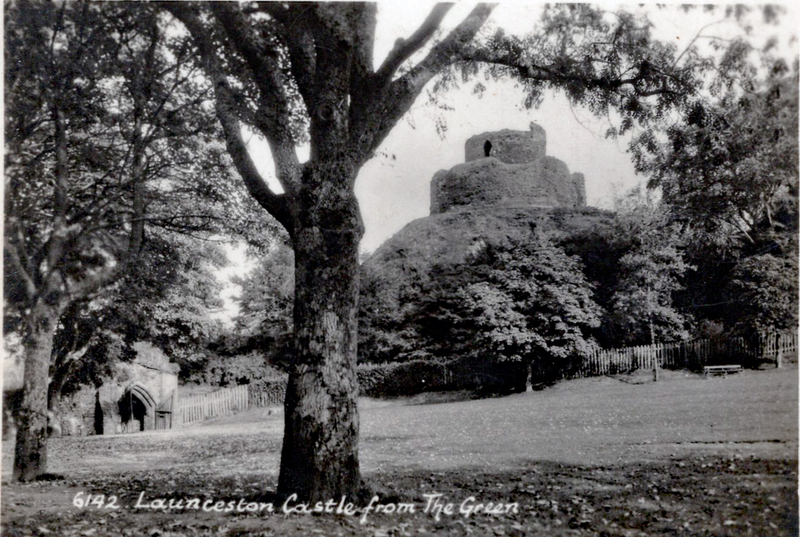 Launceston Castle gallery | Launceston Then! 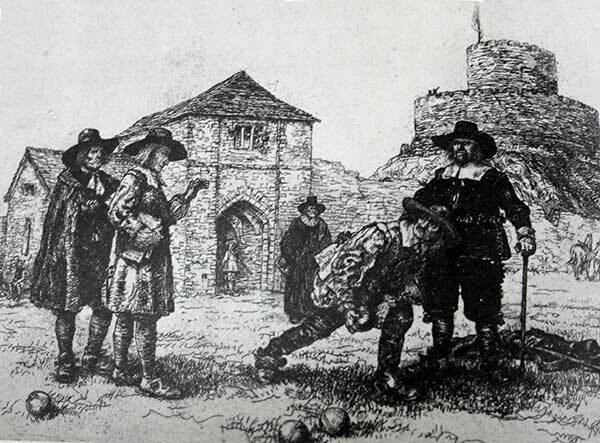 A Spence engraving of George Fox reproving bowlers on the Castle Green for spending their time so vainly. 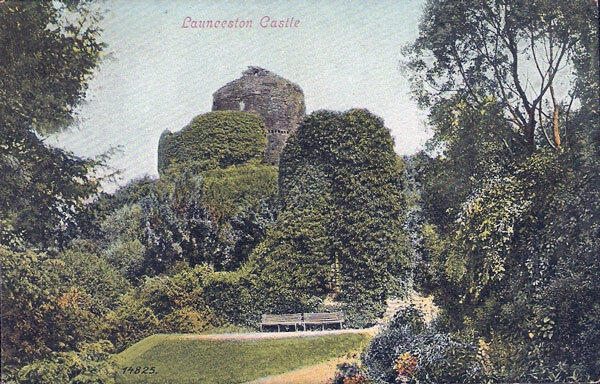 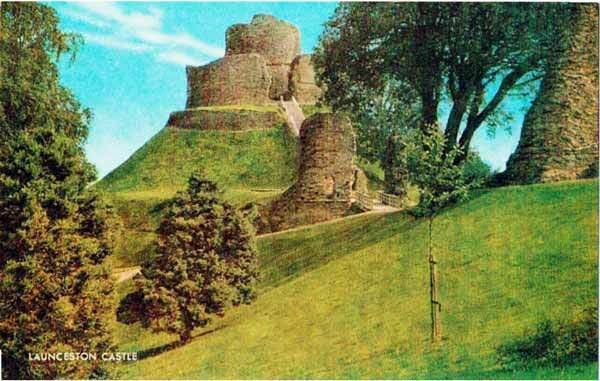 Launceston Castle as it was. 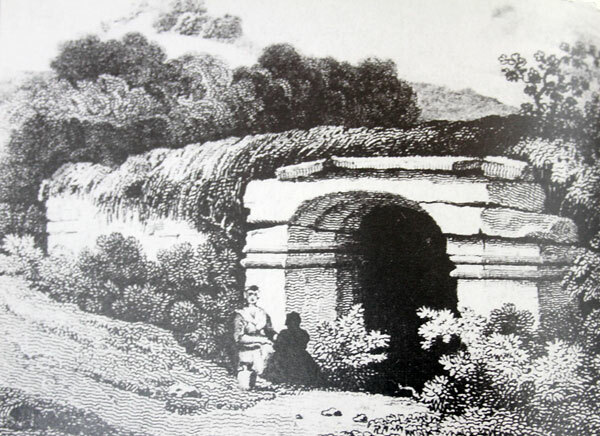 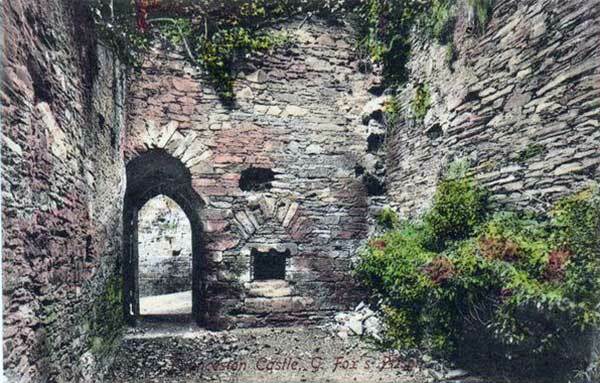 the Well at Launceston Castle. 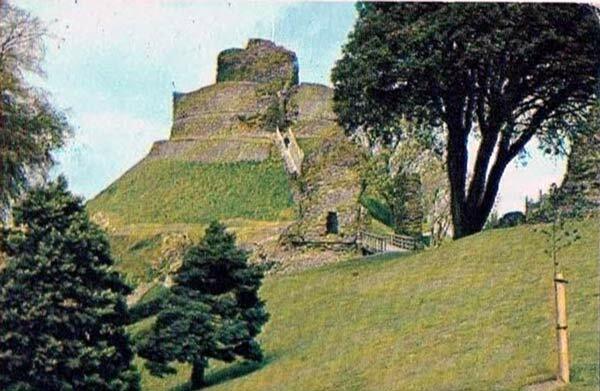 Pig sty's at Launceston Castle. 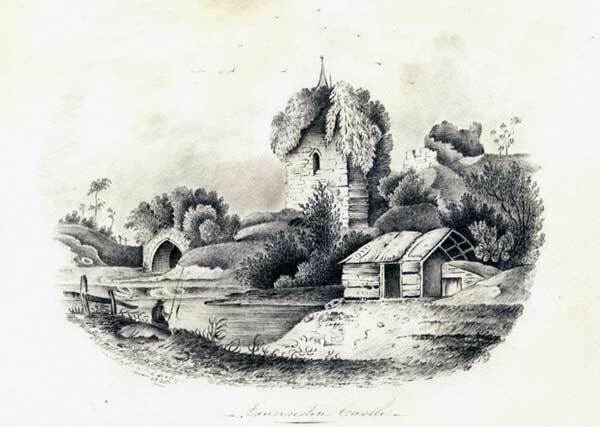 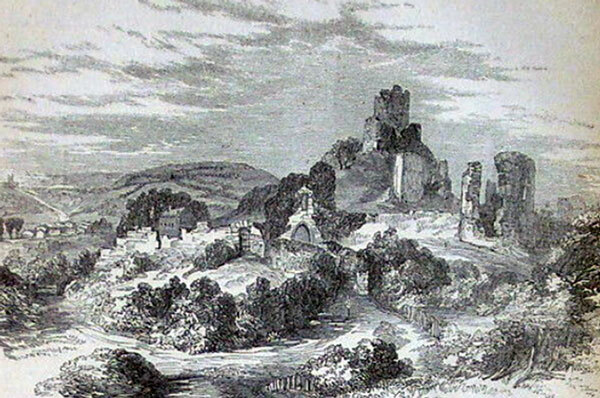 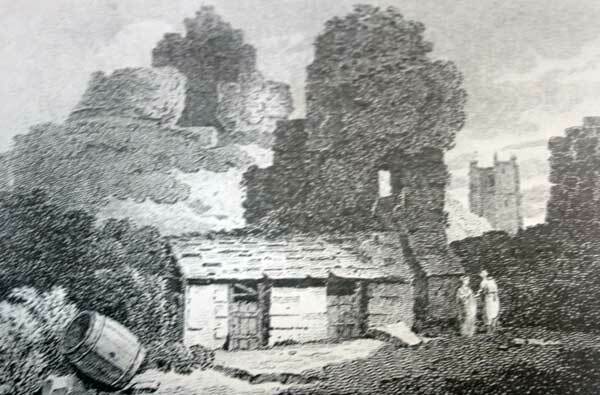 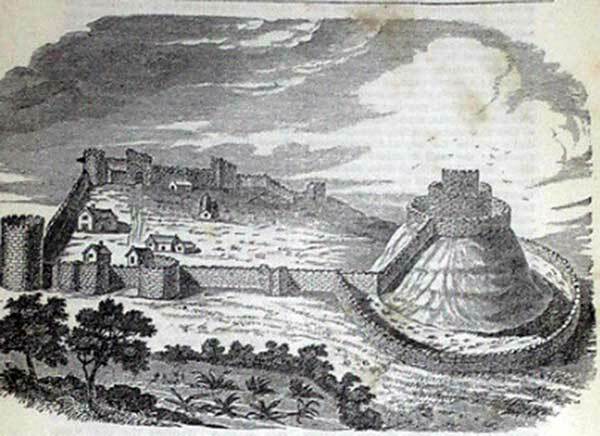 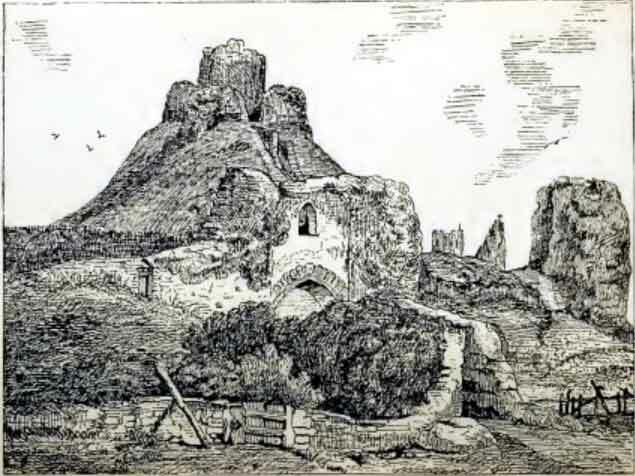 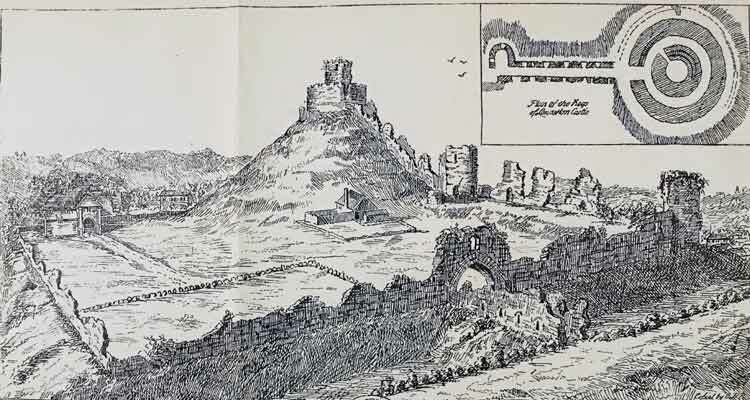 1835 graphite drawing of Launceston Castle. 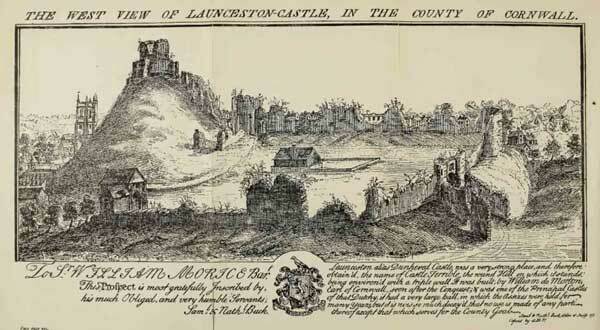 Launceston Castle drawing by Borlaise in 1754. 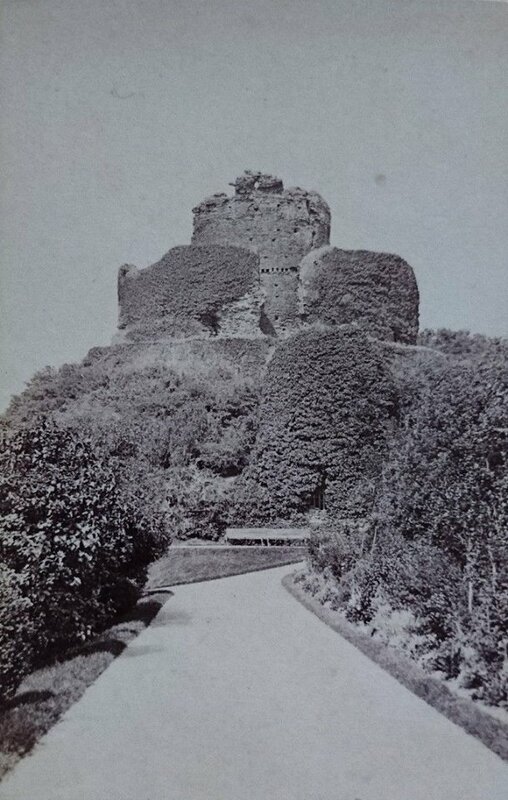 Launceston Castle by S. Hooper. 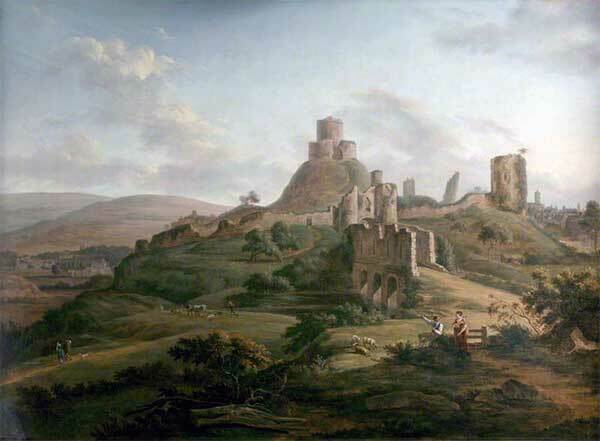 Launceston Castle by Hendrick Frans de Cort c.1764. 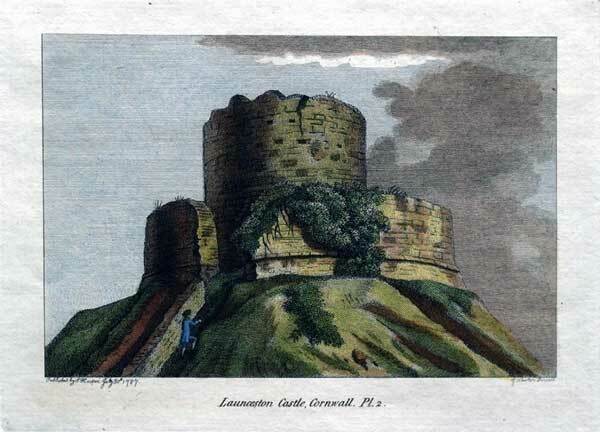 1787 print of Launceston Castle. 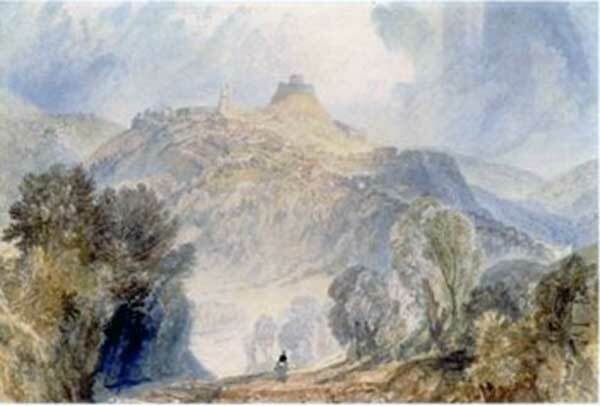 Turner's view of Launceston Castle. 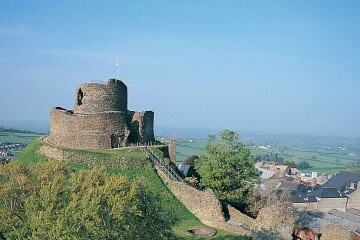 West view of Launceston Castle. 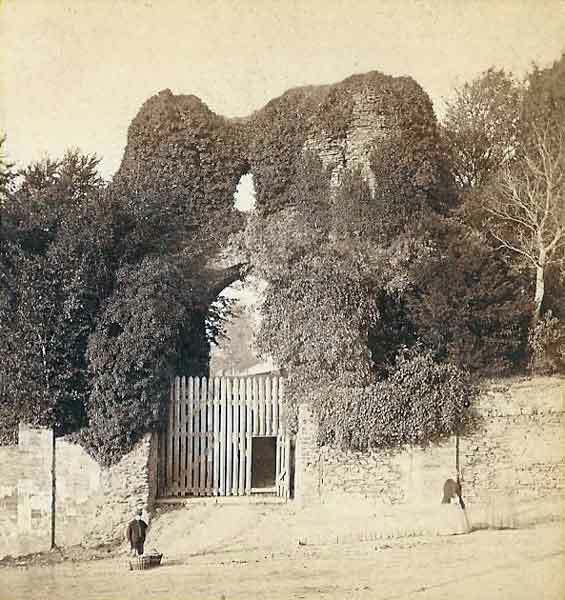 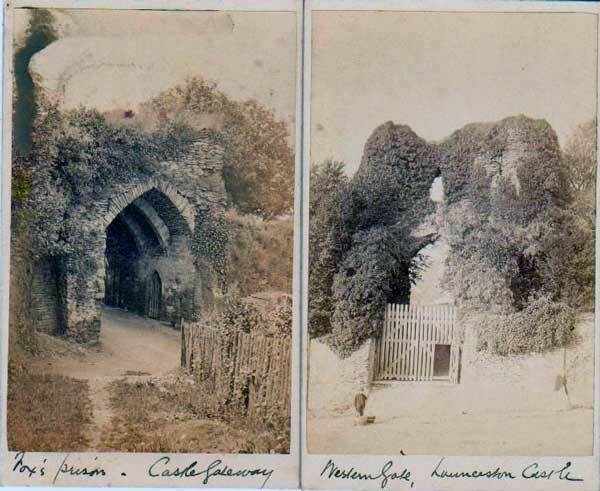 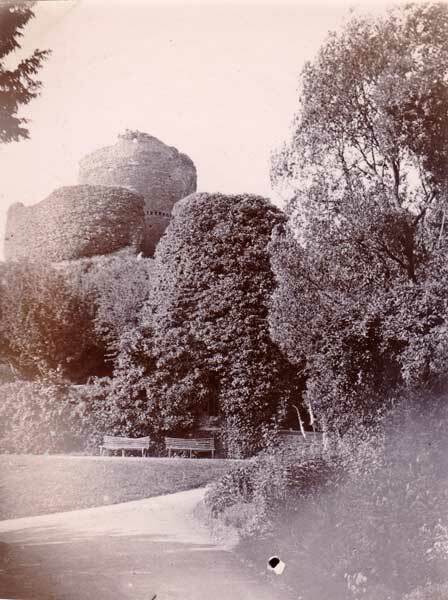 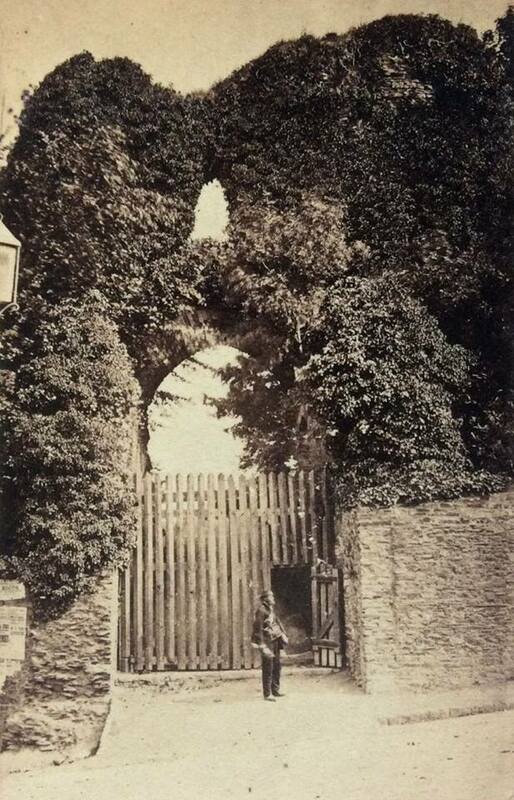 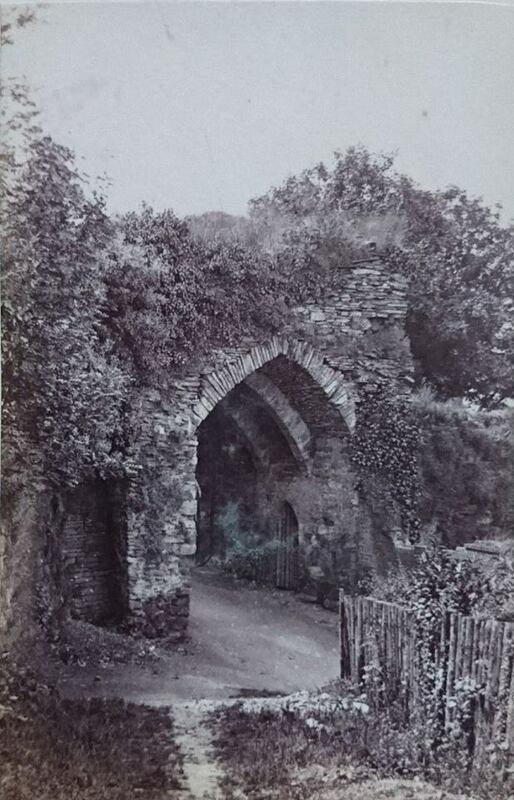 Launceston Castle's Westen and Eastern entrances in 1870/ Photo by C. Hayman. 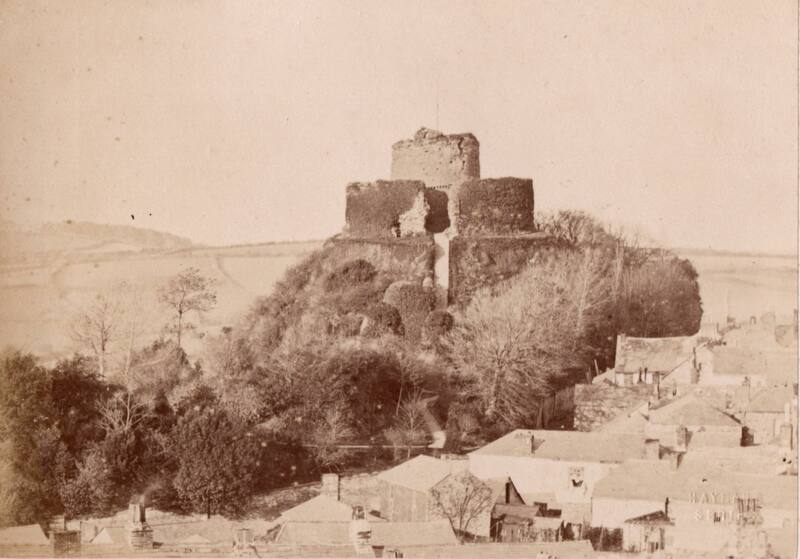 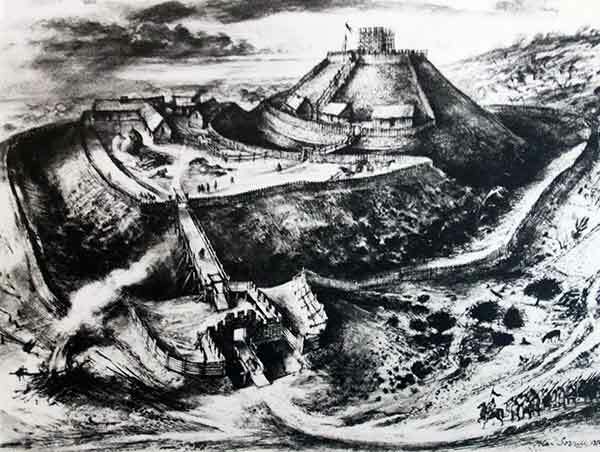 Launceston Castle's Western entance in 1870. 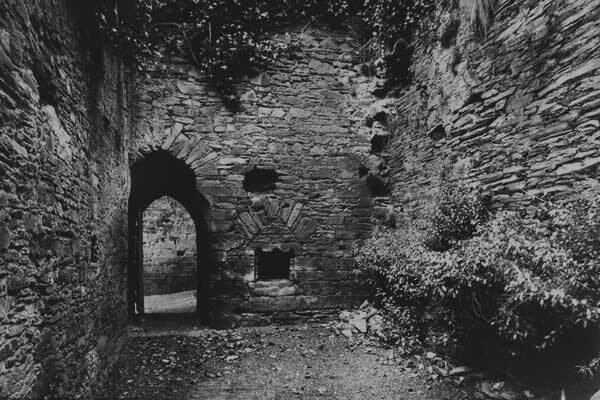 Photo by C. Hayman. 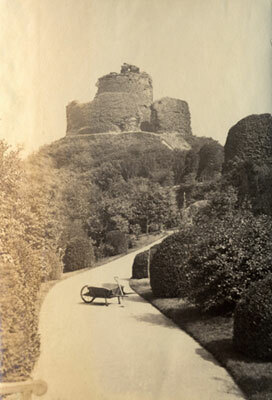 Launceston Castle in 1894 by A.R.Q. 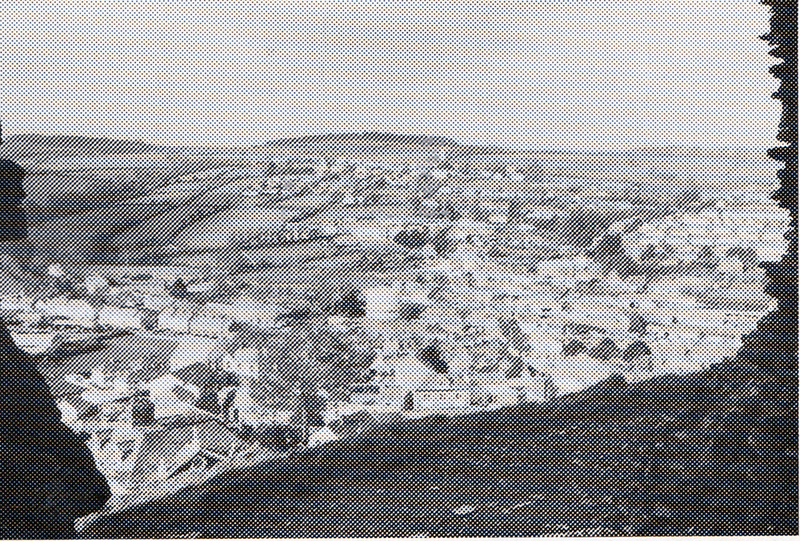 Quinton. 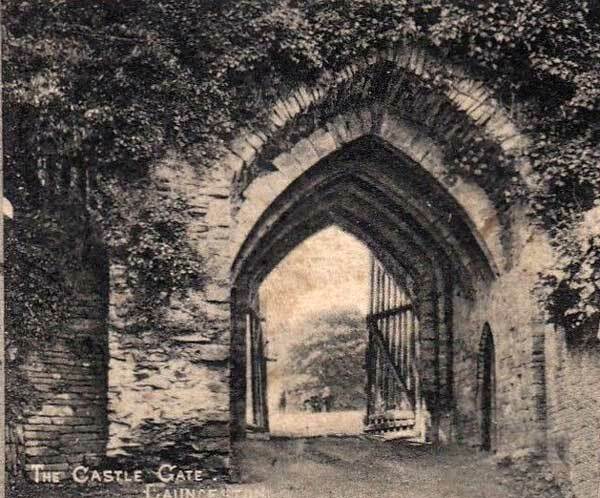 Launceston Castle western entrance from 1900. 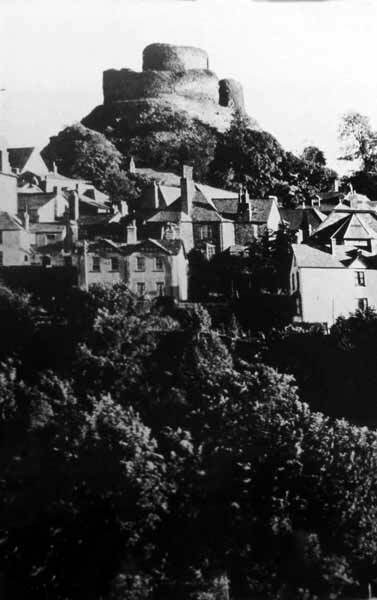 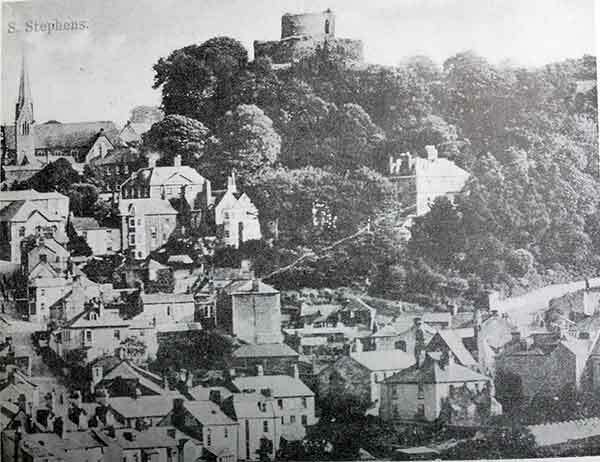 Launceston Castle and the Northern part of the town c.1910's. 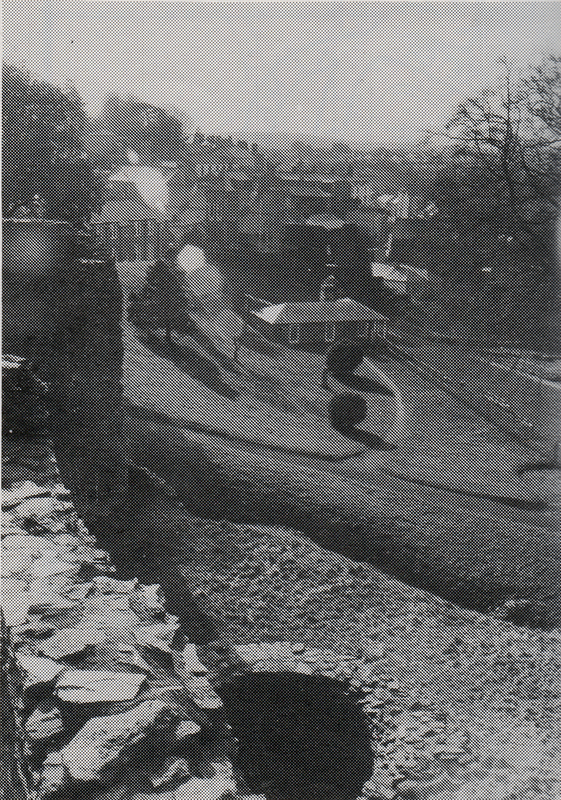 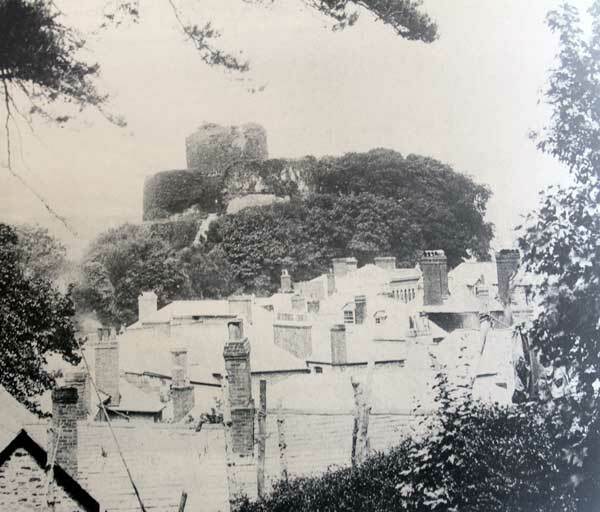 Launceston Castle from Windmill Hill c.1900. 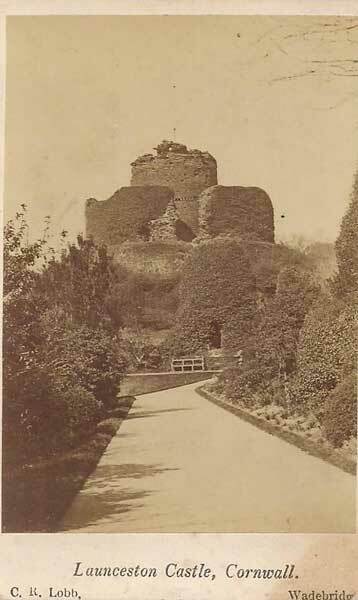 Launceston Castle looking over Horse Lane (Dockacre Road) c.1900's. 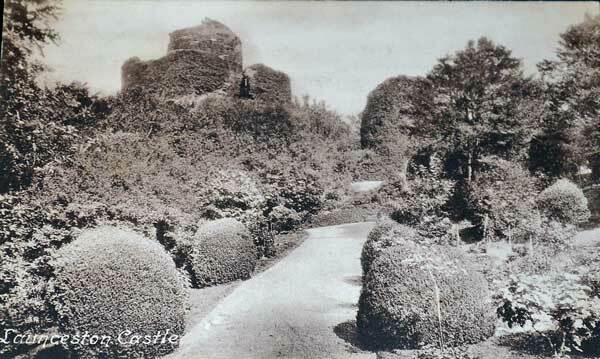 Launceston Castle with the Willow Garden allotments flanking St. Thomas Road c. 1900. 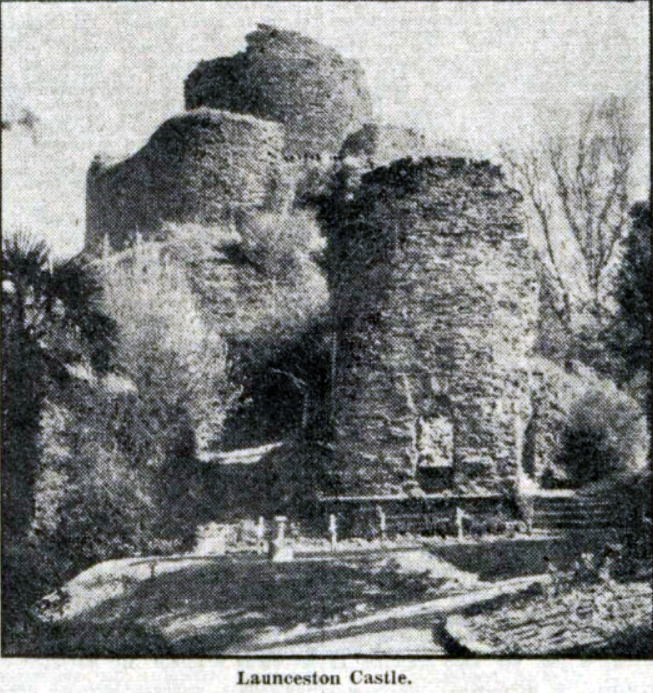 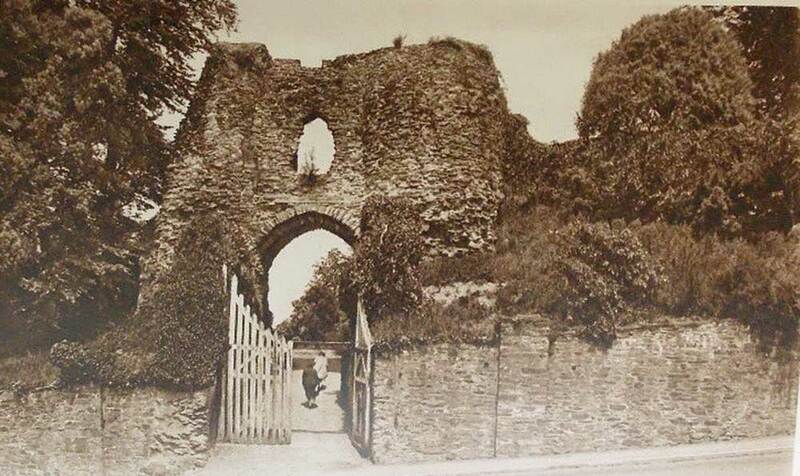 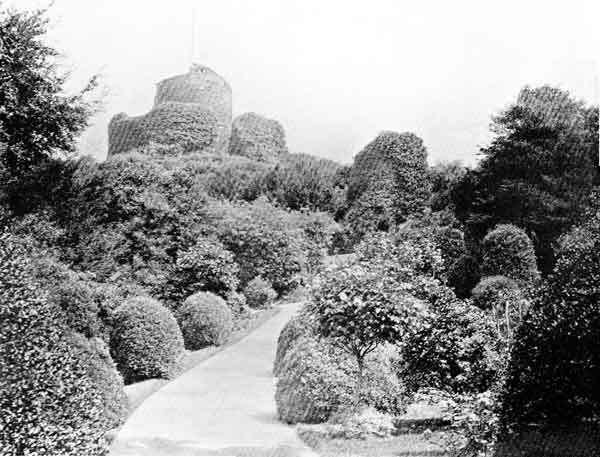 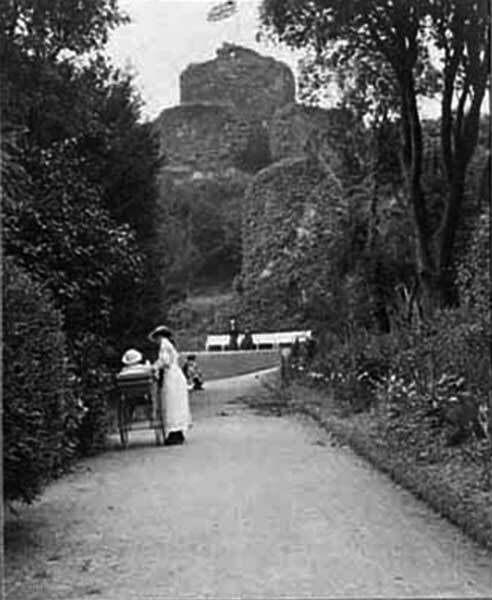 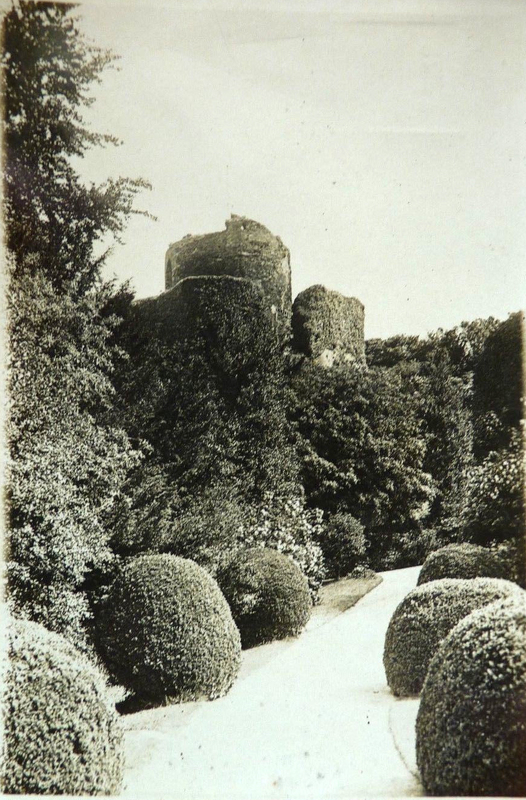 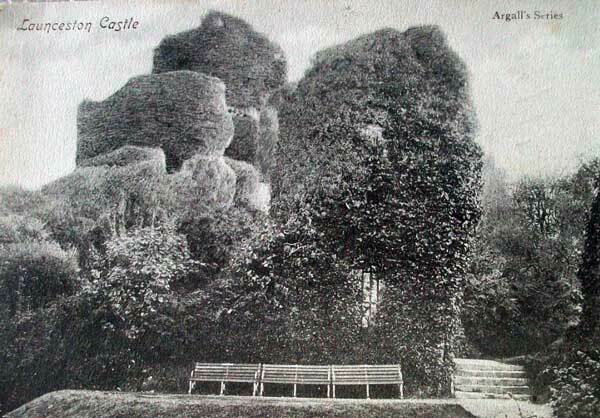 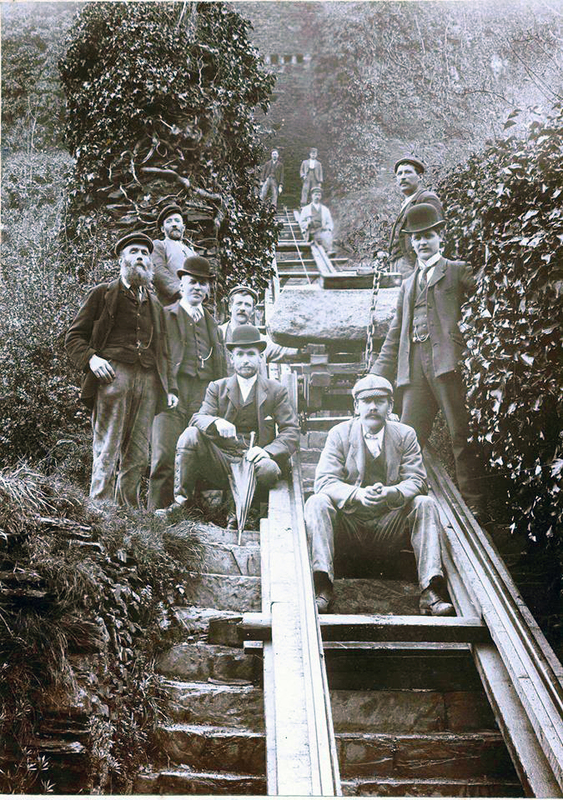 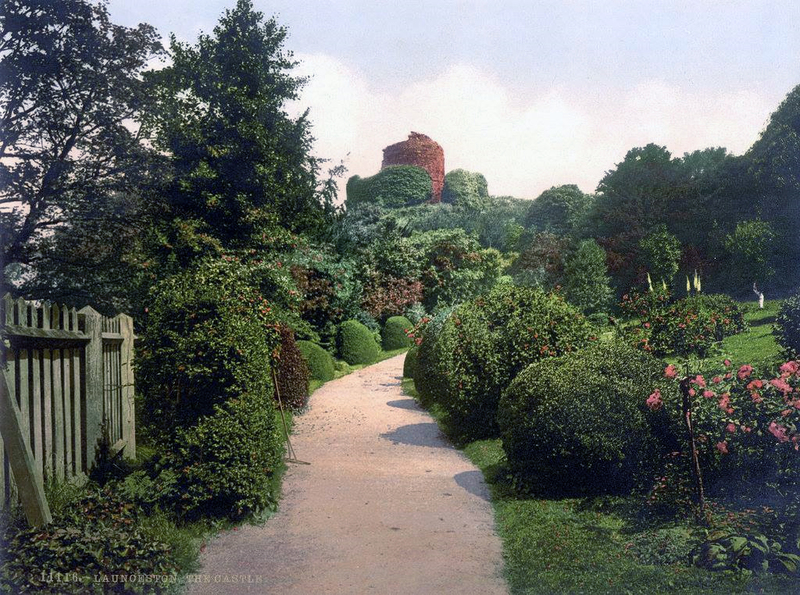 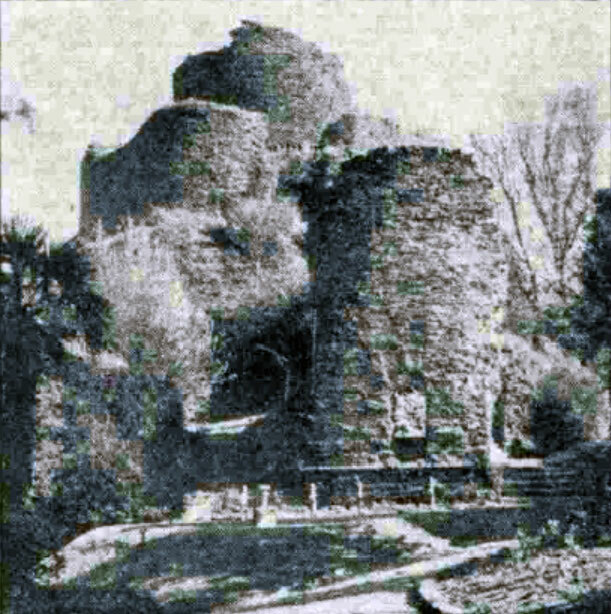 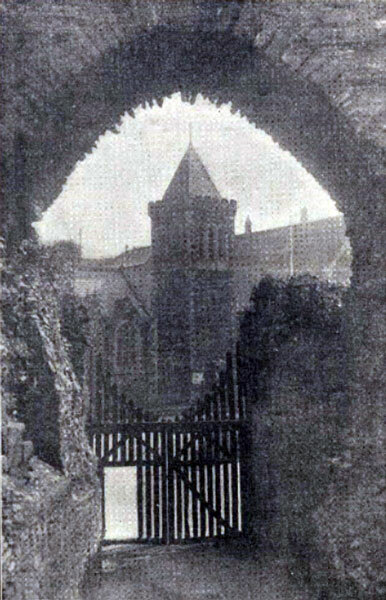 Launceston Castle eastern entrance in 1911. 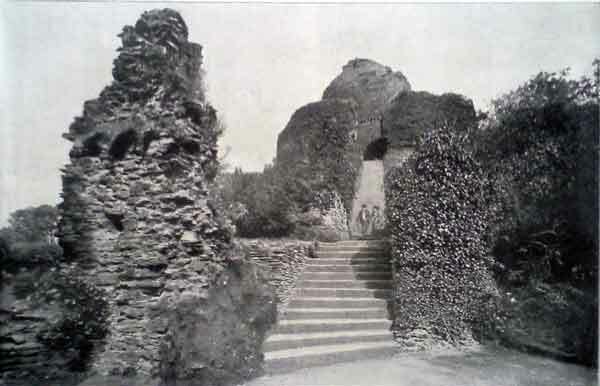 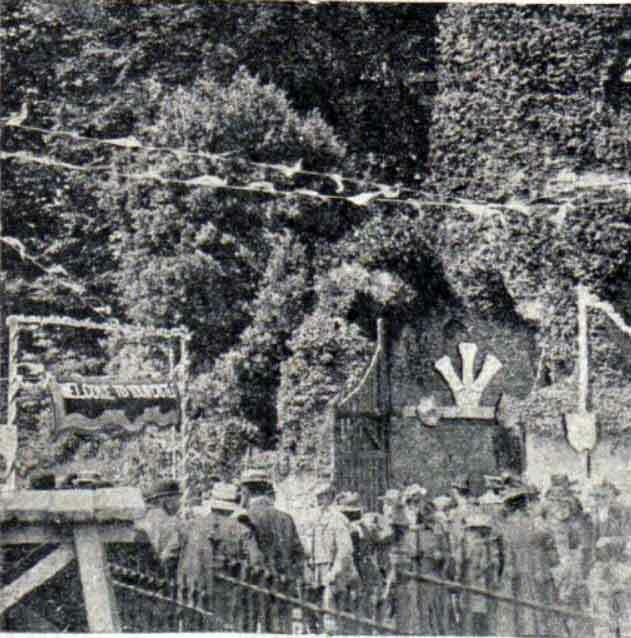 Launceston Castle western entrance decorated for the visit of the Duke of Cornwal Prince Edward in 1909. 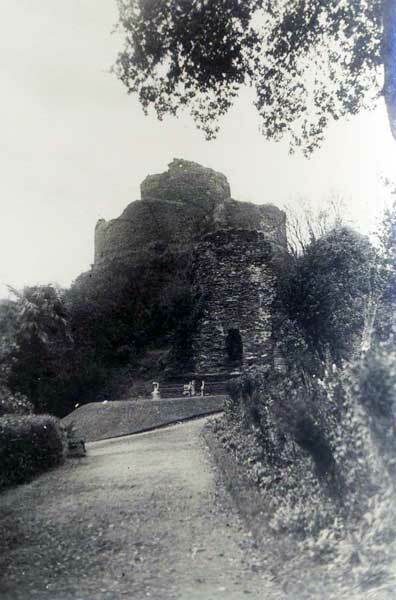 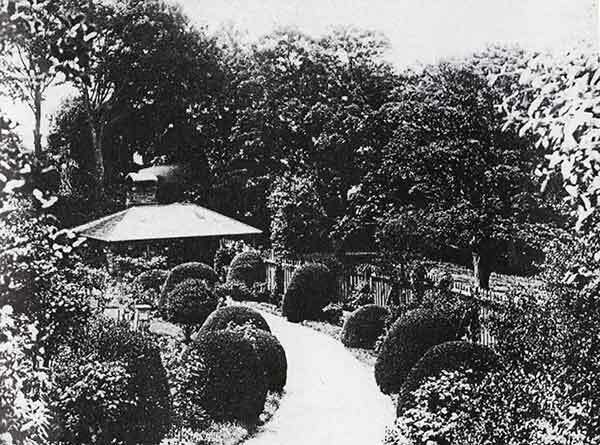 Launceston Castle western entrance in 1931. 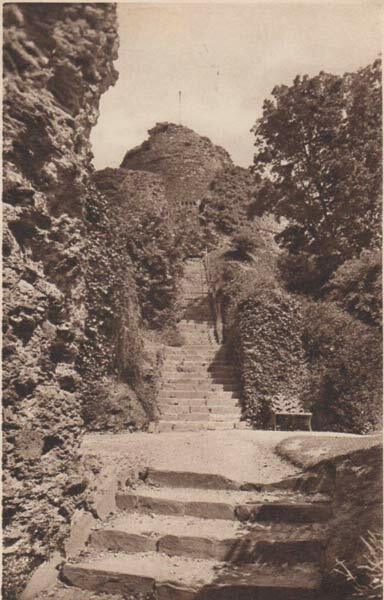 Launceston Castle western entrance in the 1930's. 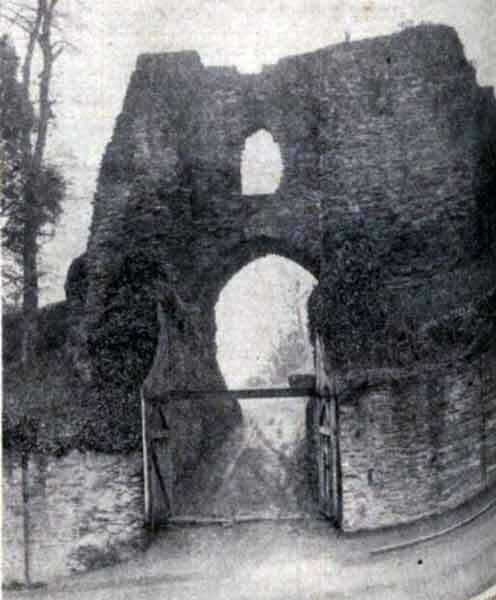 Launceston Castle western entrance on a wet November day in 1937. 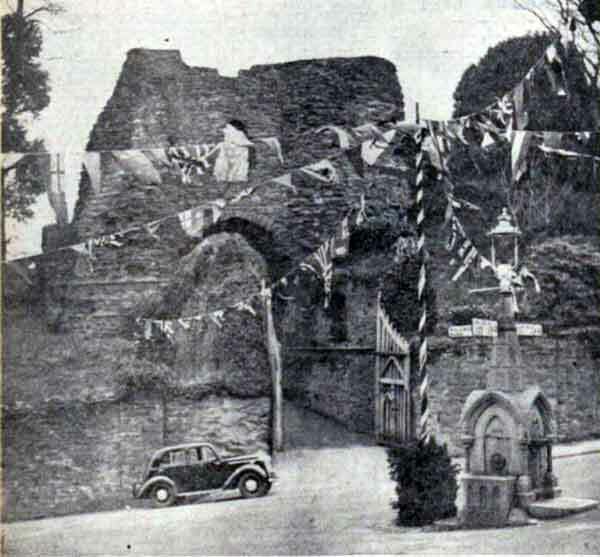 Launceston Castle western entrance decorated for the visit of King George VI in December 1937. 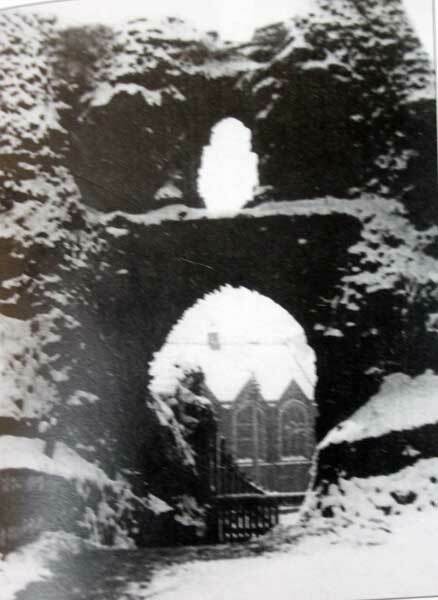 Launceston Castle western entrance on a snowy 1947 day. 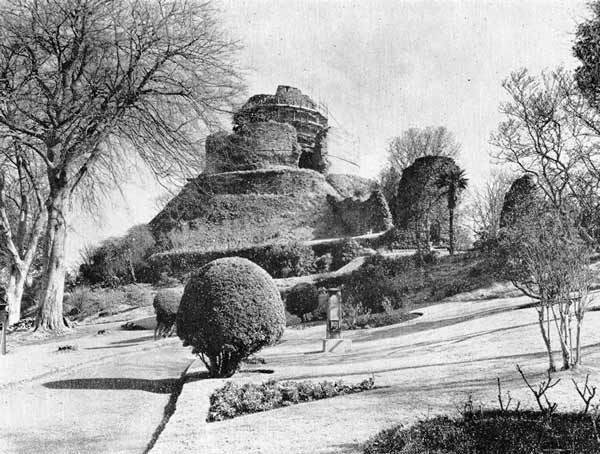 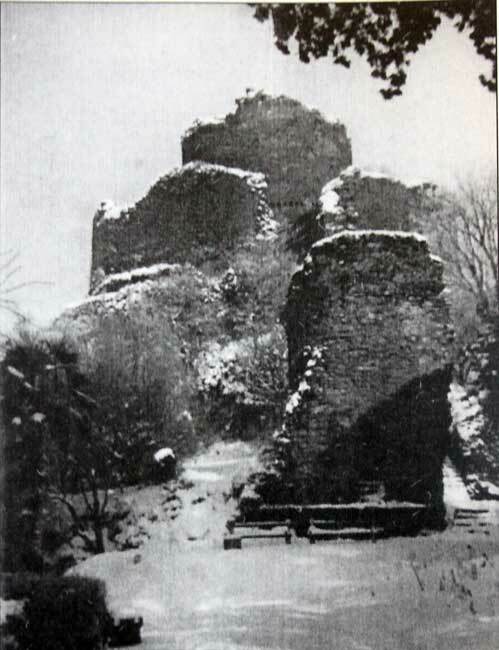 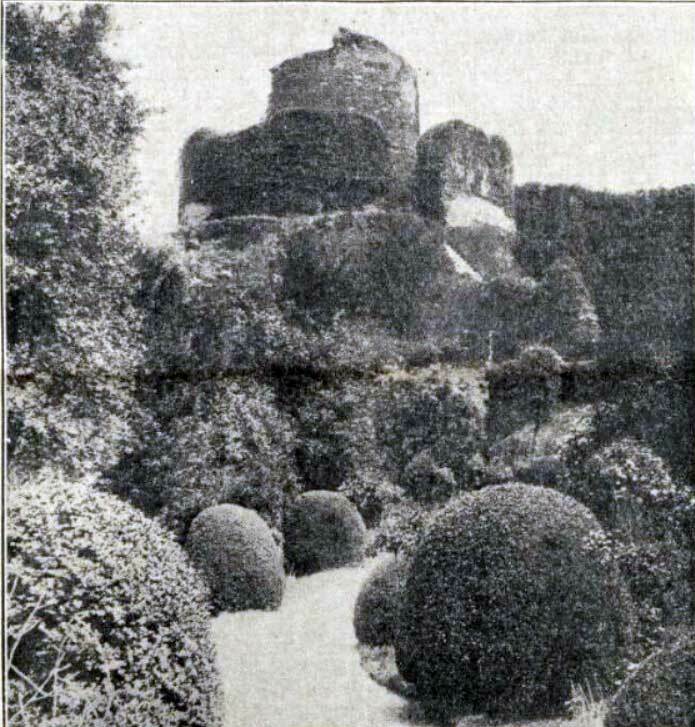 Launceston Castle in the winter of 1947. 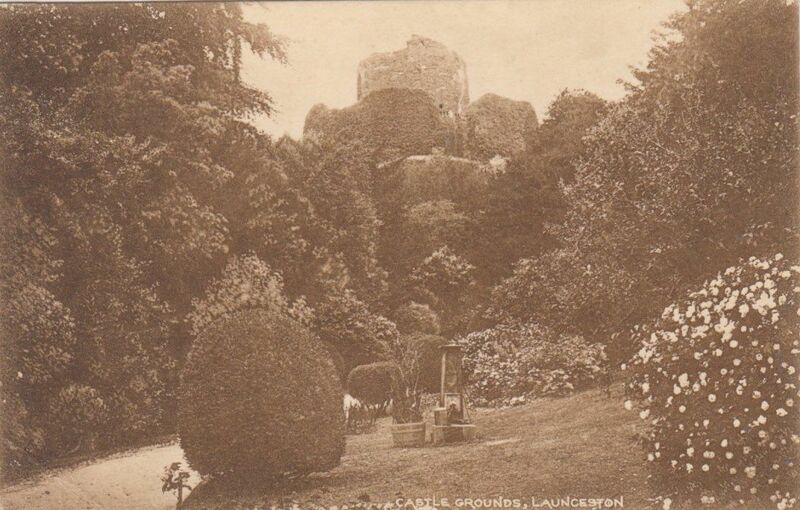 Launceston Castle c.1940's. 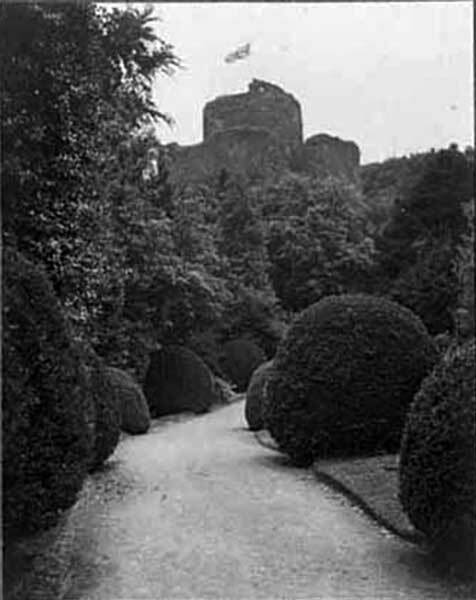 Photo by George Ellis. 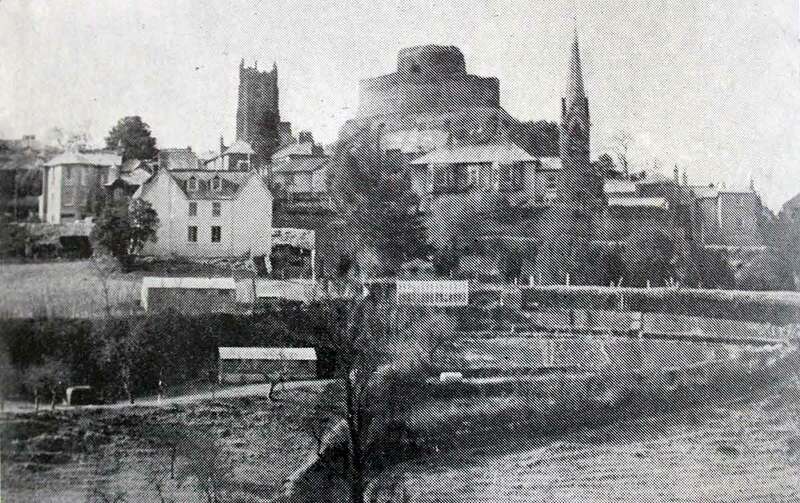 Launceston Castle from St. Catherines in the 1940's. 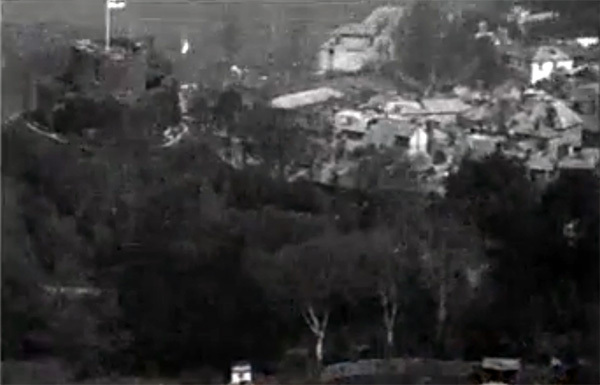 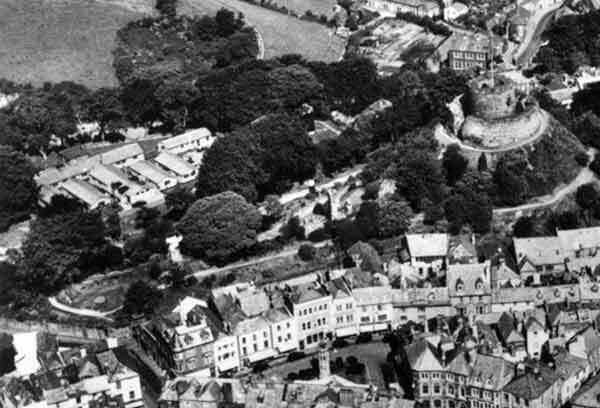 1950's aerial of the Castle. 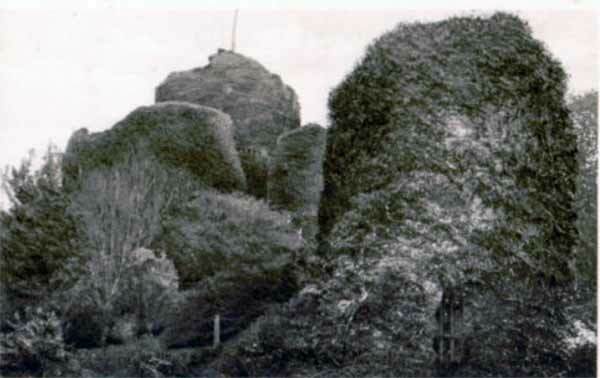 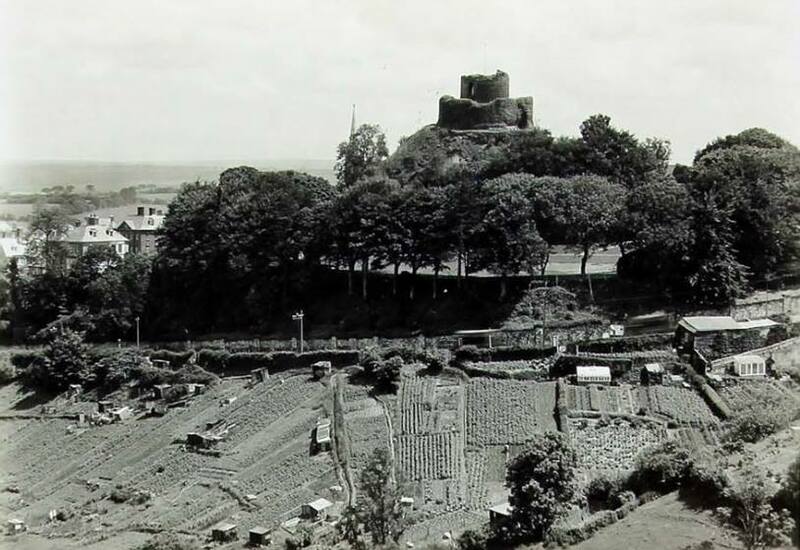 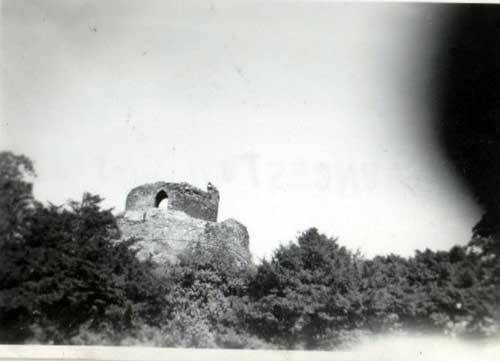 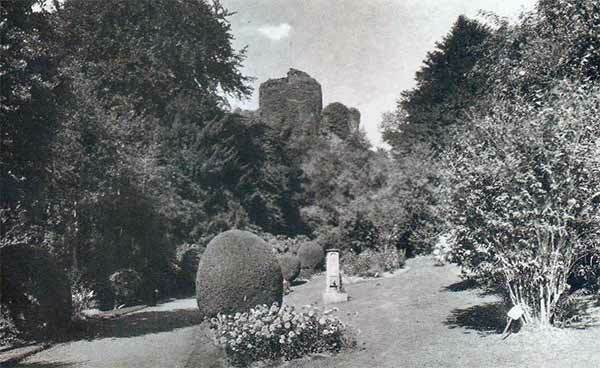 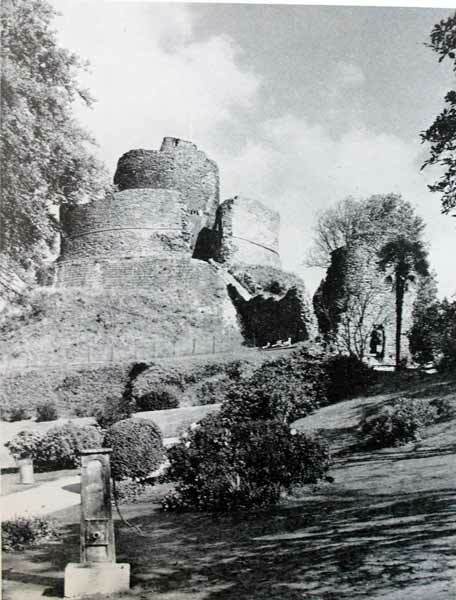 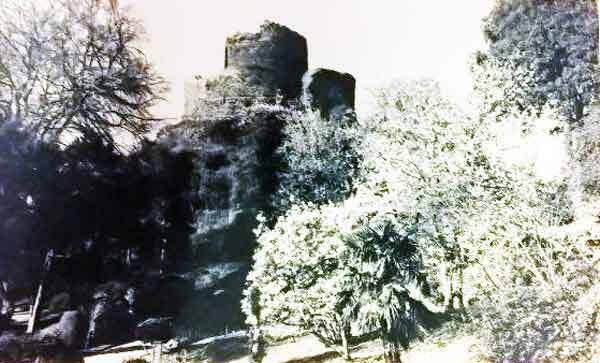 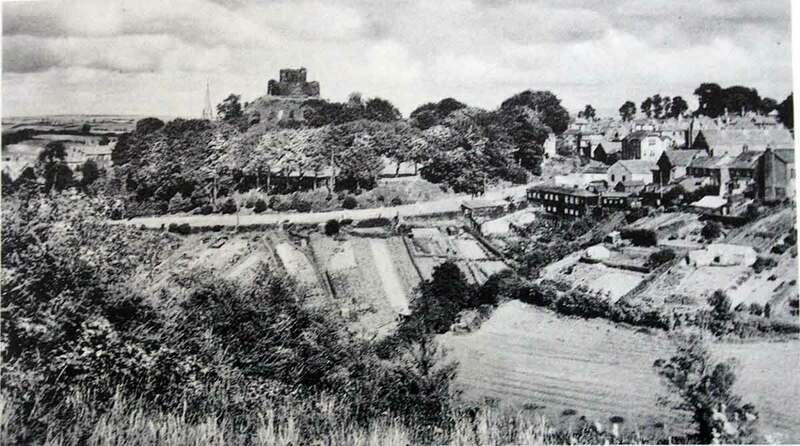 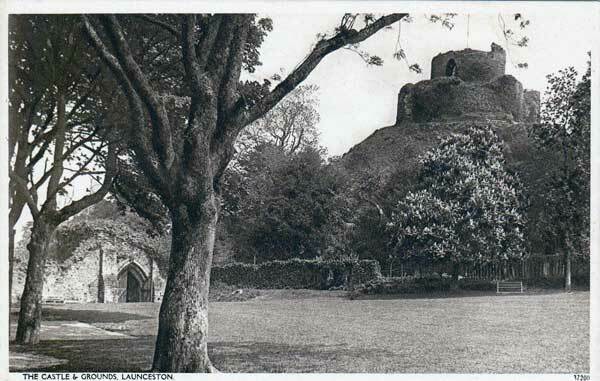 Launceston Castle in 1959. 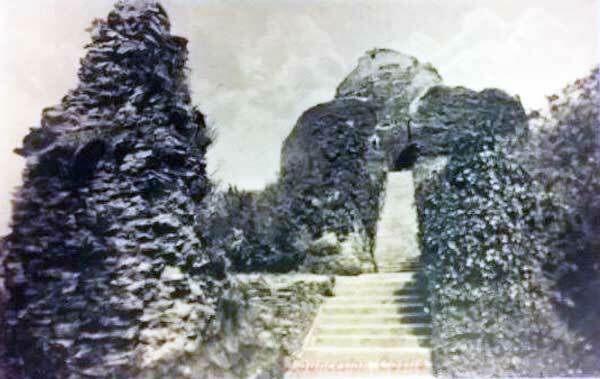 Photo courtesy of Stanley Tout. 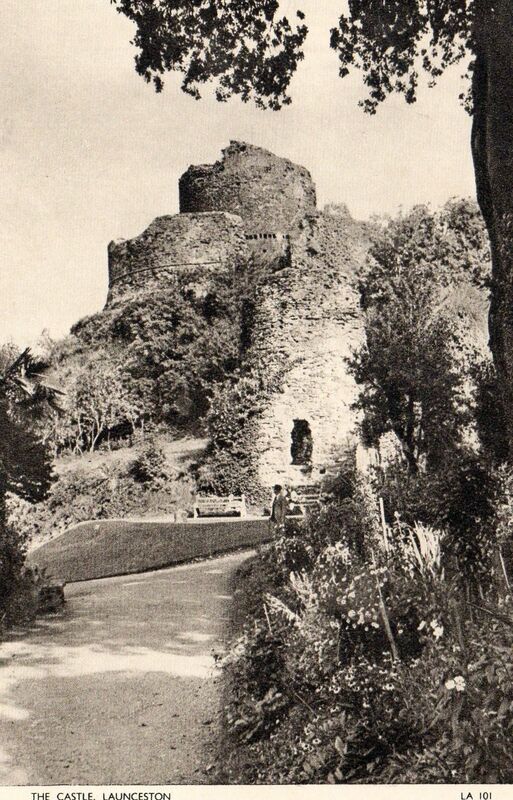 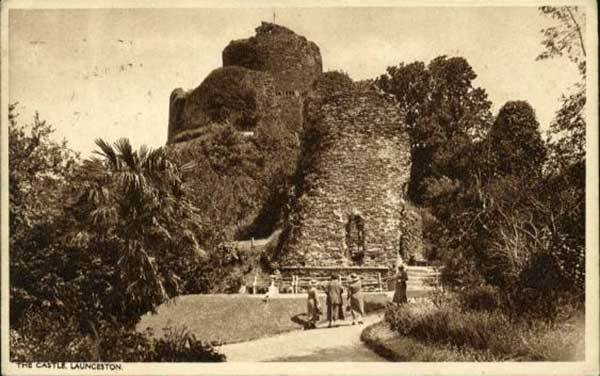 Launceston Castle in the 1950's. 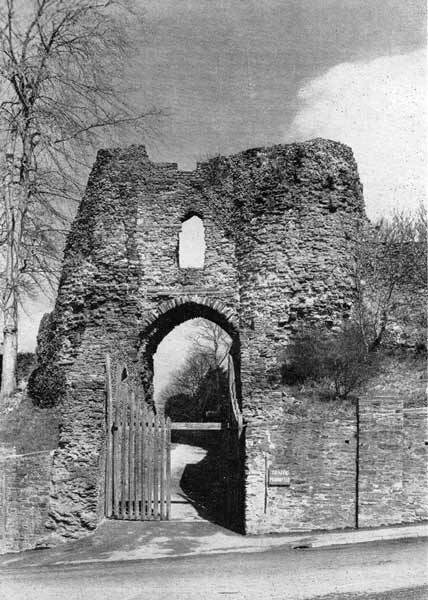 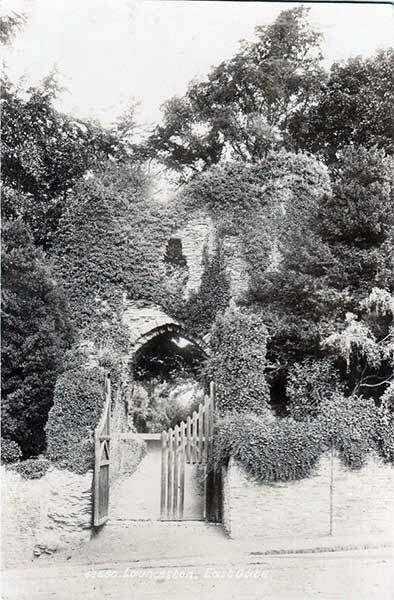 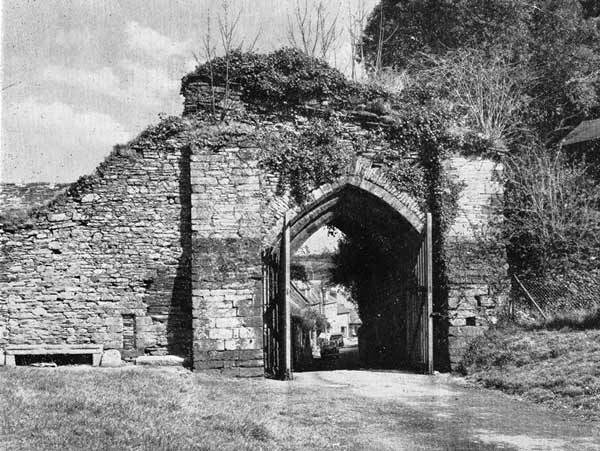 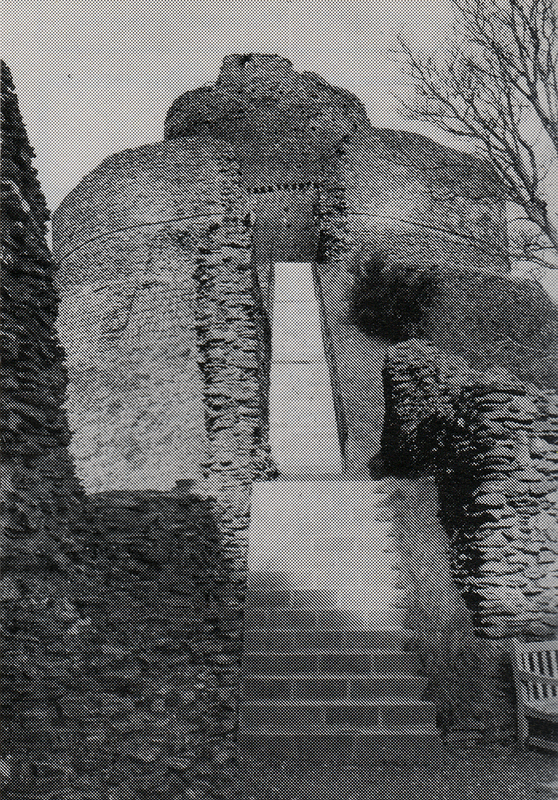 Launceston Castle eastern entrance in 1959. 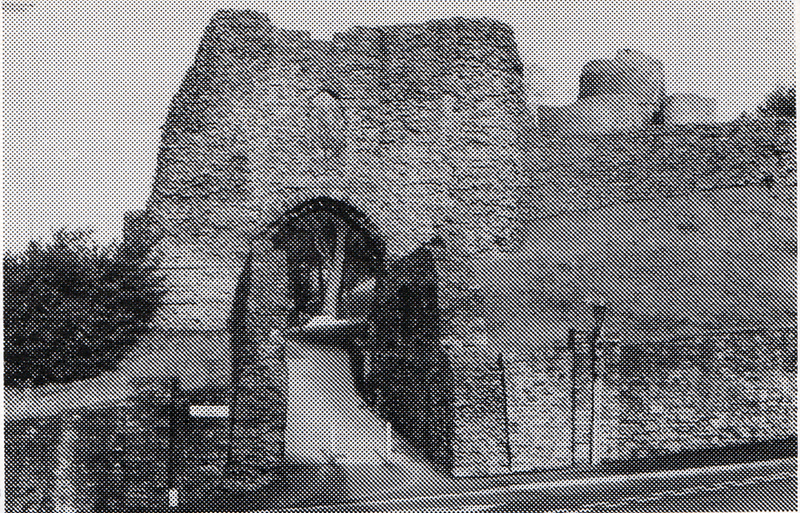 Launceston Castle western entrance in 1959. 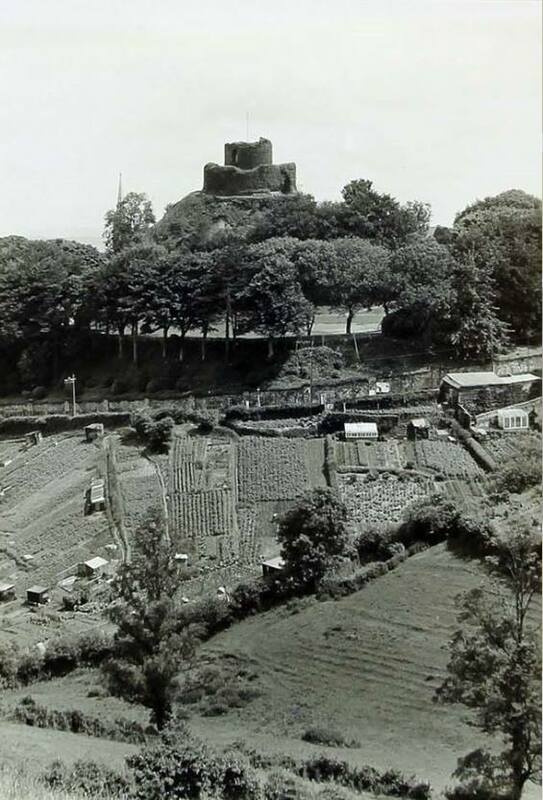 Photo courtesy of Stanley Tout. 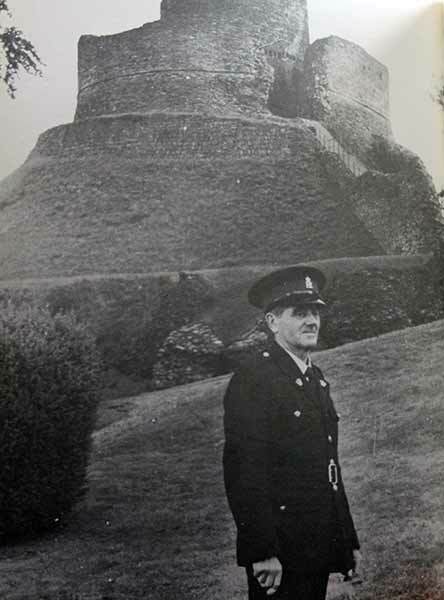 Launceston Castle custodian Reg Taylor in the 1970's. 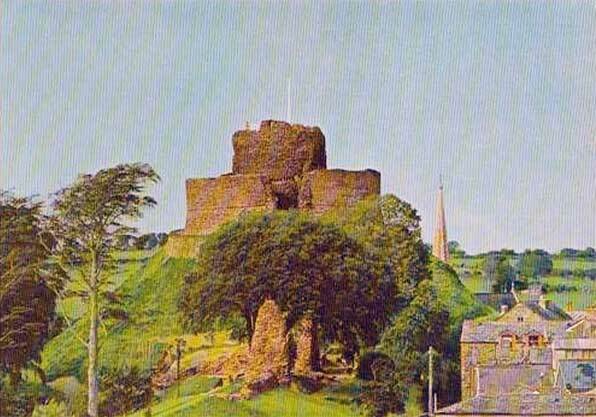 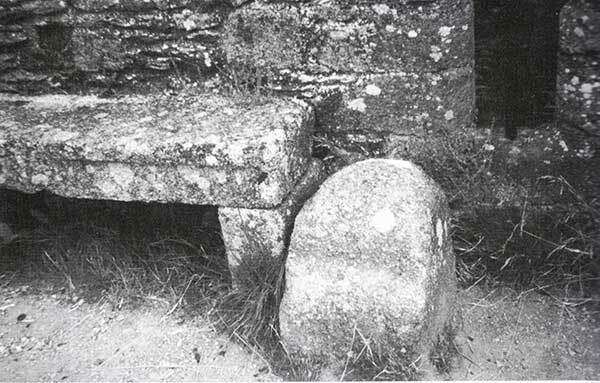 The Sheriff Stone that stands in Launceston Castle. 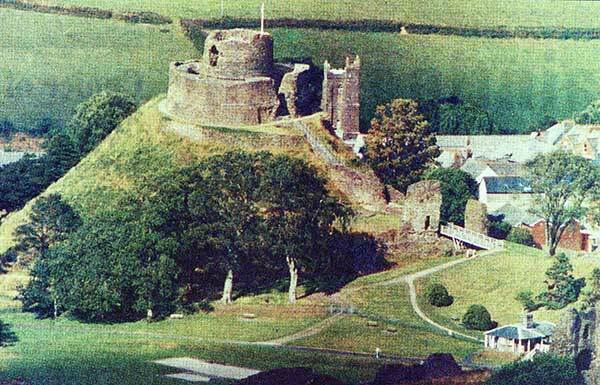 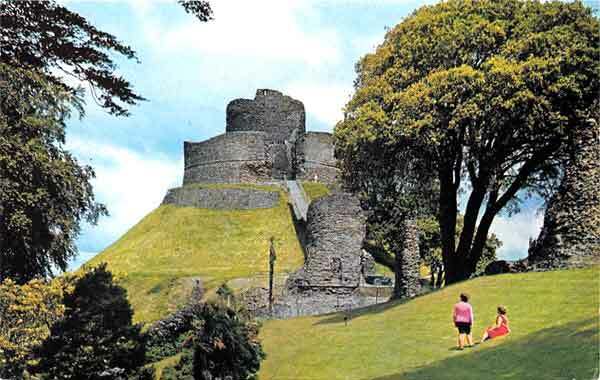 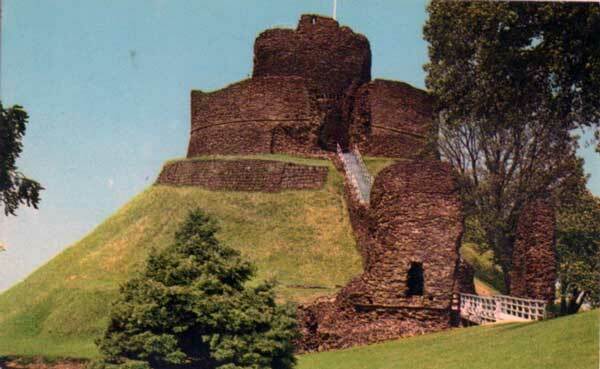 Launceston Castle in the 1990's. 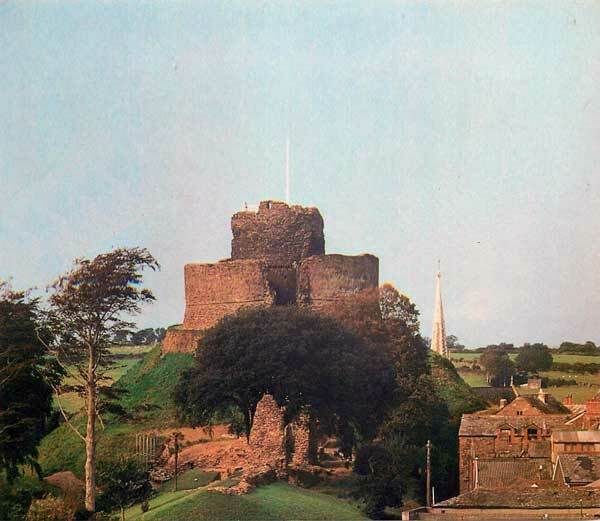 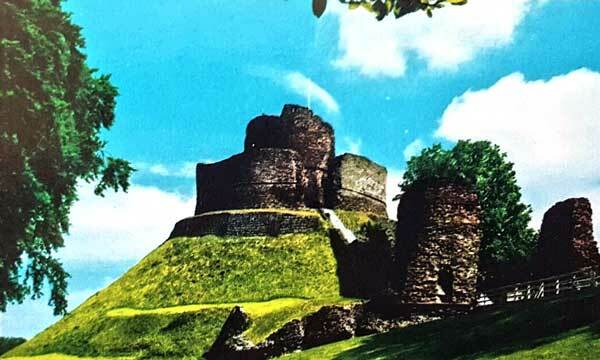 Launceston Castle in the 1970's. 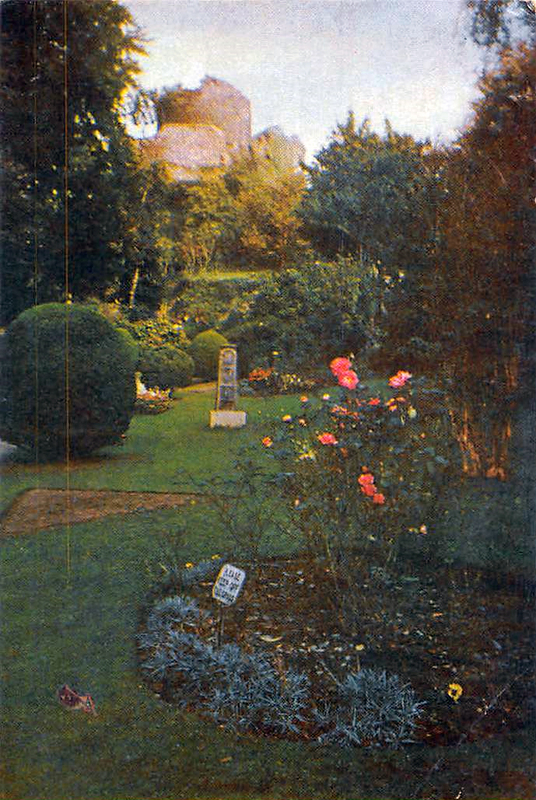 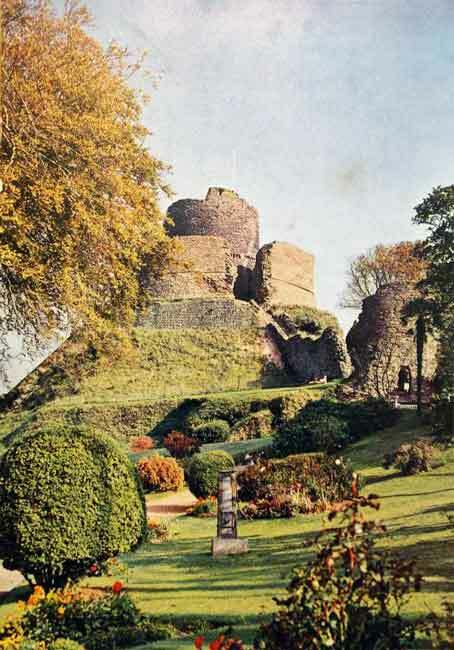 Launceston Castle in 1982. 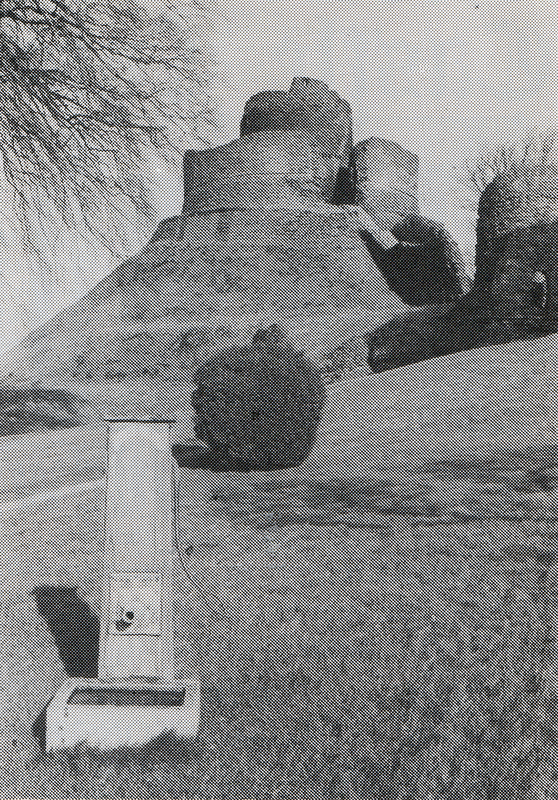 The pump is believed to be the position of the original well for the Castle. 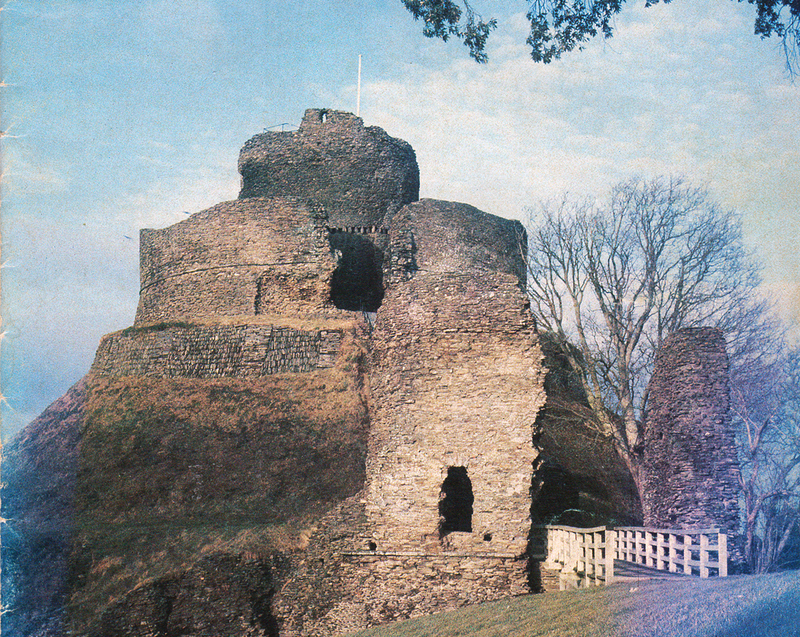 Castle western entance in 1982. 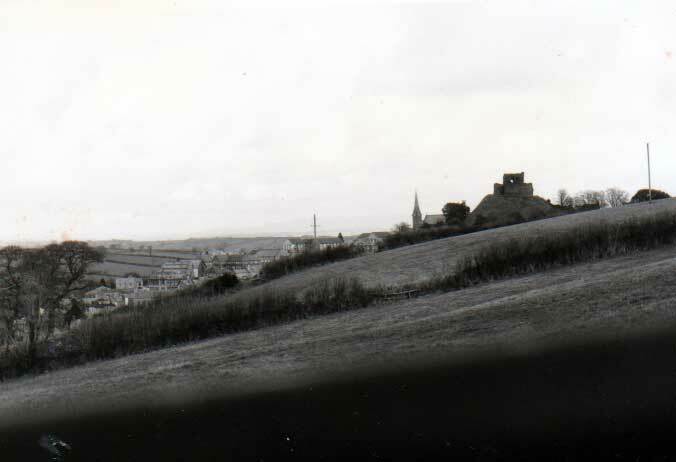 Castle view of Newport and St. Stephens in 1982. 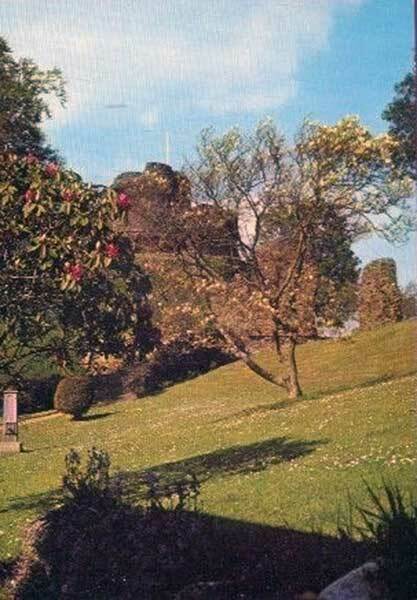 Launceston Castle in the late 1960's. 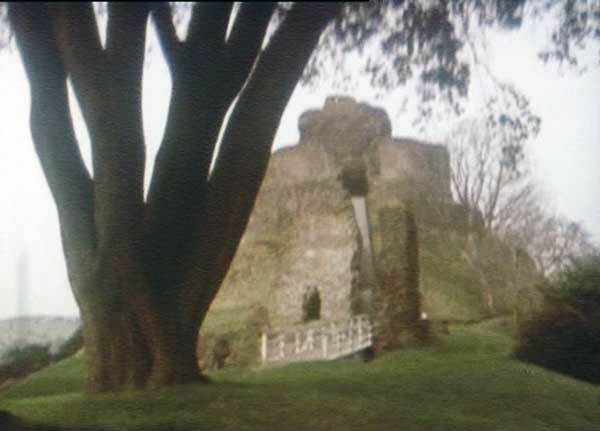 Launceston Castle from the 1990's. 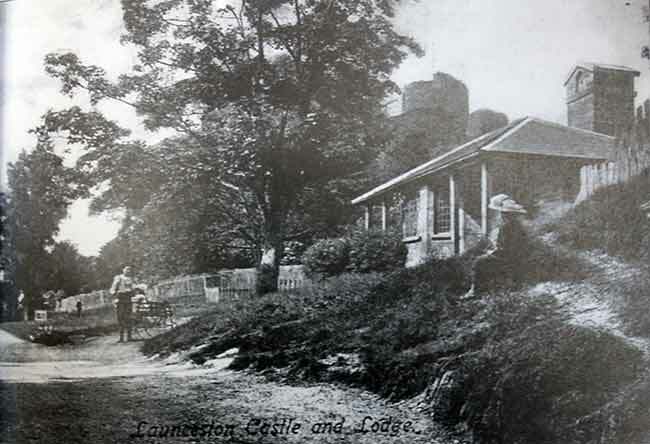 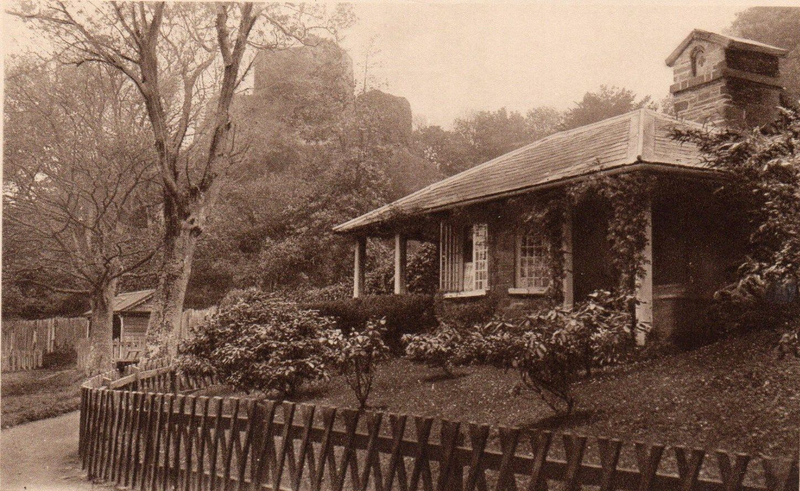 Launceston Castle lodge in 1982. 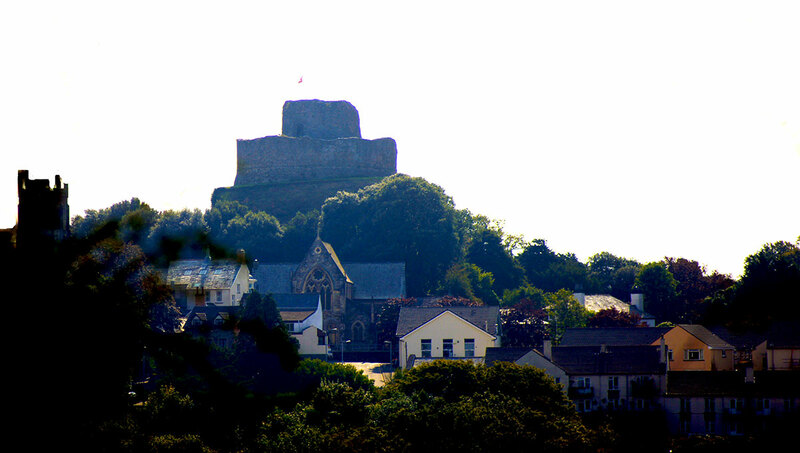 Launceston Castle from Dutson 2005. 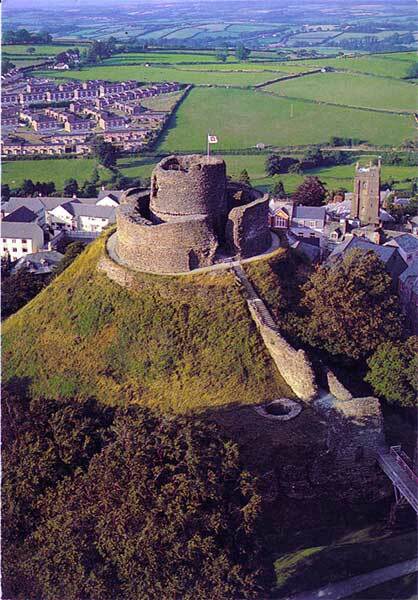 Launceston Castle aerial from 2012. 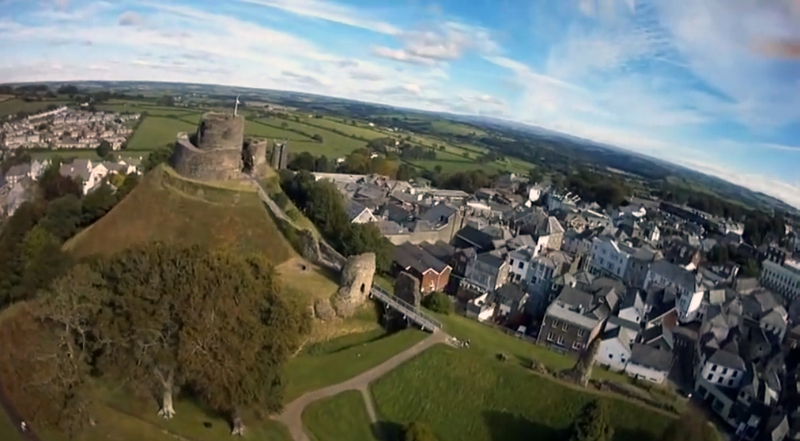 Launceston Castle aerial from 2014. 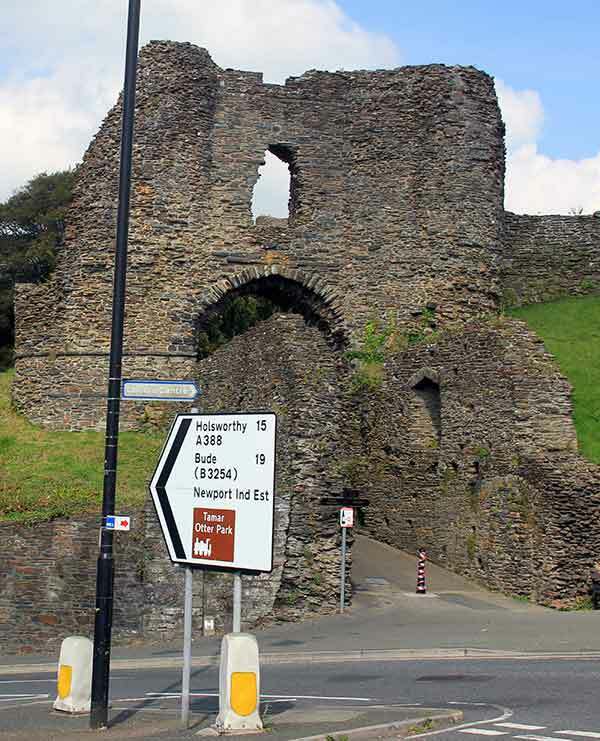 Launceston Castle's western entrance in 2014. 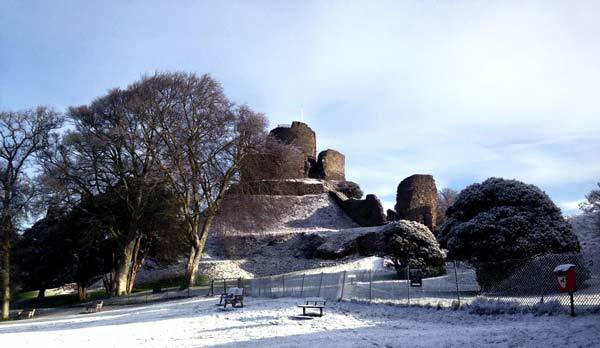 Launceston Castle in the winter of 2015.